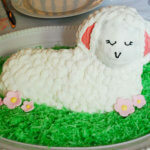 My friend Meg has made a tradition of the Easter Lamb Cake. 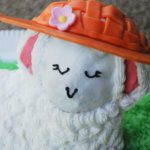 Each year, she holds a Lamb Cake Throwdown Contest to determine the best decorated Lamb Cake using the Wilton Lamb Cake Pan. 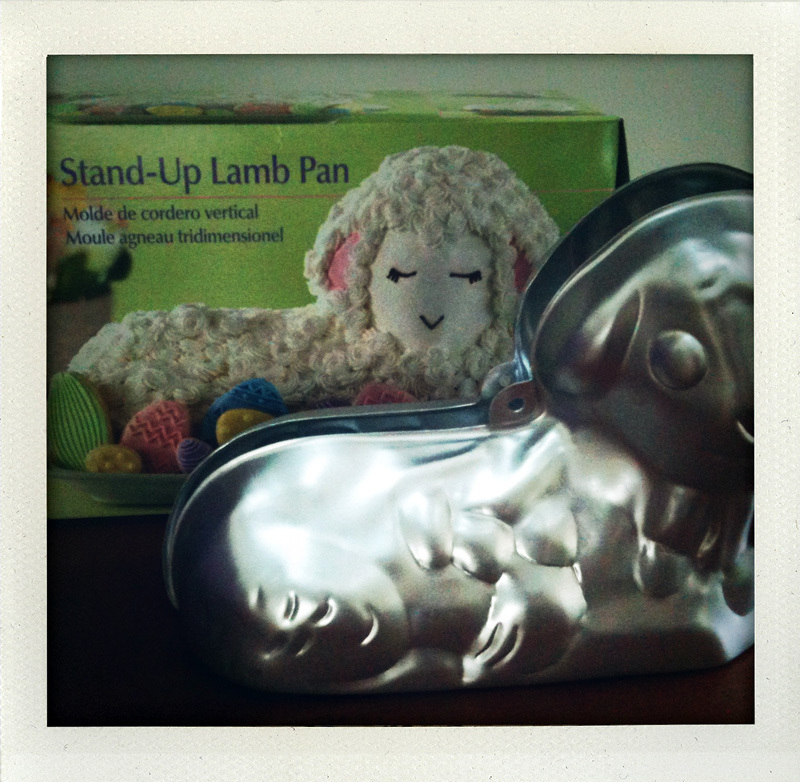 This year I’m entered and I just got my Lamb Cake Pan in the mail. And I may just be crazy because I am so not a cake decorator. In fact, I don’t think I’ve decorated a proper cake for more than 10 years. I think my strategy here is to make pick a whimsical theme for the decorating part. Lamb dressed as a Bunny? Lamb Peep? Shane suggested something biblical involving blood that I’m not going to describe any further, yeah, not going there. My two-year-old Elise suggested a Monkey Lamb Cake (of course she did). So readers, please help me out …I’m in a little over head. Any theme suggestions? 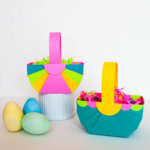 What icing/decorating tips can you share? I instantly thought of the phrase “A wolf in sheep’s clothing”…reverse it (and of course explain that he is just a young sheep) and decorate him wearing a wolf skin. Yeah, lame I know. What a great idea for a party, btw. 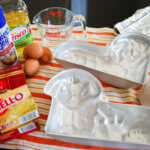 My family has used a pan like that for over 50 years to make a rice-crispie cookie lamb every Easter. It used to be my Grandmother’s specialty, now my mother carefully carries it to whichever home she and Granpa visit for Easter.